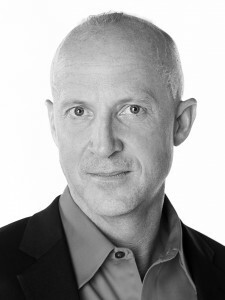 As an artistic director, Bevan Keating draws upon his professional stage experience in Canada. One of his first productions was the children’s opera The Golden Vanity by Benjamin Britten, performed by the Amabile Boy Choirs of Canada. During his time in Canada, Keating directed performances of musicals such as Oliver!, Bye Bye Birdie, and Annie, as well as Gilbert and Sullivan’s operetta The Pirates of Penzance and Henry Purcell’s Dido and Aeneas. In the U.S., he has directed productions of HMS Pinafore and Amahl and the Night Visitors. Collaborating with producer Bruce Rentz and Rebecca Stalcup, Keating developed an original libretto for Carl Orff’s Carmina Burana, followed by a new and innovative staging of Benjamin Britten’s Peter Grimes. Recent projects include Messiah by Candlelight featuring G.F. Handel’s popular oratorio, an original production of Dracula Unearthed and the children’s opera The Bremen Town Musicians. 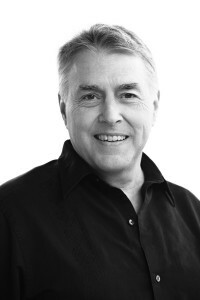 Keating has conducted performances across Europe and North America, including most recently joint performances with Staffelseechor Murnau and Kirchenchor Die Stadtkirche St. Michael von Löffingen in Germany, and the Musikverein Matzen and Singkreis Matzen choirs in Austria. He also continues to perform in his homeland of Canada as a guest conductor in Vancouver, British Columbia; Banff, Alberta; London, Ontario; and throughout the province of Newfoundland. Locally, Keating has conducted performances of Mozart’s Requiem, J.S. Bach’s Piano Concerto in D Minor, Mendelssohn’s oratio Elijah, and various operas including Johann Strauss II’s Die Fledermaus and Mozart’s Die Zauberflöte. In addition to his role as Praeclara’s artistic director, Keating is the artistic director of the Wildwood Academy for Music and the Arts (WAMA), a summer music education program for young musicians of all skill levels sponsored by Wildwood Park for the Arts. He also serves as Director of Music and the Arts for Second Presbyterian Church in Little Rock. He is Associate Professor of Music and Director of Conducting and Choral Studies at the University of Arkansas at Little Rock, where he conducts the UALR Concert Choir, the UALR Chamber Choir, and the UALR Community Chorus. Bruce Rentz is a Bachelor of Arts graduate from the College of Wooster in Wooster, Ohio; he holds an M Div. degree from Princeton Theological Seminary. He has performed on stage in major roles in twenty community theater productions in New York and in Little Rock, including appearing as President Franklin D. Roosevelt in Praeclara’s 2017 production of Annie the Musical. Mr. Rentz has sung with the New York City Gay Men’s Chorus and their select twenty-member ensemble. He produced Praeclara’s Carmina Burana in 2014, as well as Peter Grimes, Dido and Aeneas, the Praeclara original Dracula Unearthed, Messiah by Candlelight, An English Afternoon Tea, The Music Man, and The Pirates of Penzance. Mr. Rentz is a founding member of the Praeclara Ringers, and he sings with the Second Presbyterian Church Adult Choir and the UA Little Rock Community Chorus.